Something seems off in Pittsburgh. It's not just the Steelers' disappointing 0-1-1 record. It was revealed on Tuesday that star wide receiver Antonio Brown—perhaps the best at his position in the NFL—had no-showed meetings on Monday. Taken in tandem with the continued holdout of star running back Le'Veon Bell and the poor play, well, things just don't feel right in Pittsburgh. The no-show from Brown followed a curious exchange on Twitter between the wide receiver and a former PR employee for the franchise. 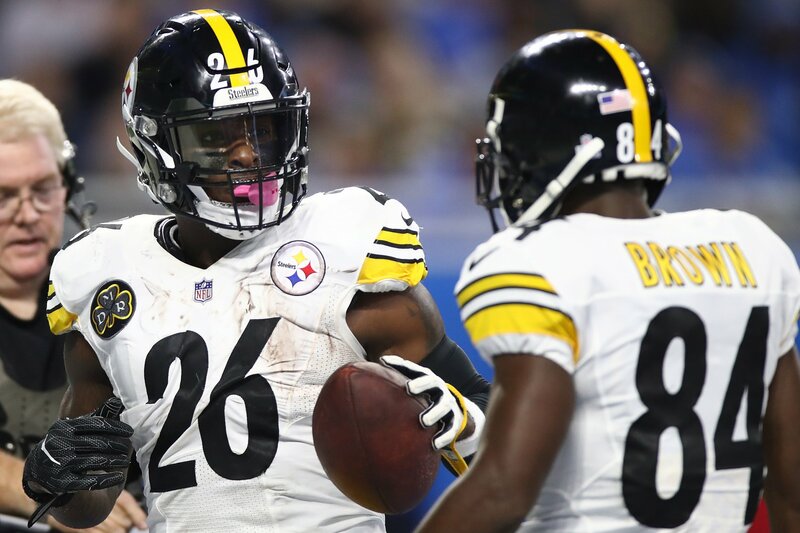 “AB needs to thank his lucky stars, because he was drafted by a team that had [Steelers quarterback Ben Roethlisberger],” former employee Ryan Scarpino tweeted. “And Ben got AB paid. You know darn well he wouldn't put up those numbers for other teams." Brown responded with, "Trade me let’s find out." To be clear, this was not a trade demand. But it is an interesting thing to post after a 42-37 loss to the Kansas City Chiefs on Sunday. Now, Brown—who was spotted arguing with coaches on the sidelines during the loss—apparently skipped out on Monday meetings. The Pittsburgh Post-Gazette first reported the news, which was soon confirmed by Steelers head coach Mike Tomlin, who would no get into details about the absence. "We will talk about it and other things," Tomlin said about speaking with Brown later in the week. "I'm not going to get into whether he was excused or not." Meanwhile, another Pittsburgh standout—Bell—has been held out through the first two weeks of the season with no end in sight. The running back is one of the best offensive players in the league and has held out for more money. A number of his teammates have, in turn, slammed him. "What do you do? Here’s a guy who doesn't give a damn, I guess so we’ll treat it as such," offensive lineman Ramon Foster said in the lead-up to the first game of the season. "I just hate it came to this." That was far from the only locker-room quote going after Bell. And while Brown didn't show up to meetings on Monday, Bell was out jet-skiing. All the while, the Steelers—a team that last year won 13 games and a franchise that is consistently top-level—remain winless. Taken together, it doesn't seem like things are going too well in Pittsburgh.